It would be fair to say that this lens was something of a complete impulse purchase. As I mentioned in my last post (here), my trip to Costa Rica was a completely unexpected one. With the change of destination, this meant that my camera gear was more of a priority (for Disney I'd really only planned on taking my iPhone for any photography needs and rely on Disney's own camera services for everything else). I was planning on taking my DSLR with me, but at the absolute last minute decided I didn't feel it was the right sort of trip for such a big camera. And so, on the way to my airport hotel complete with all my luggage, I quickly stopped by a camera store to give this lens a try. It has probably not escaped your notice that the Olympus Pen is the go-to camera of choice for bloggers. But, that absolutely does not mean it's not completely capable of taking shots of, well, pretty much whatever you want it to on top of the typical photos of brunch and new outfits and whatever else it seems to be associated with. There's actually a pretty good range of lenses available for it, meaning choosing the zoom lens I wanted was not quite as easy as I'd originally anticipated. The one that impressed me most was an absolutely amazing professional lens which had some amazing bird photos used as example images - but alas, that lens also had a professional price tag attached to it, and I'm just someone who wanted to take some nice animal photos for myself and to stick on here. 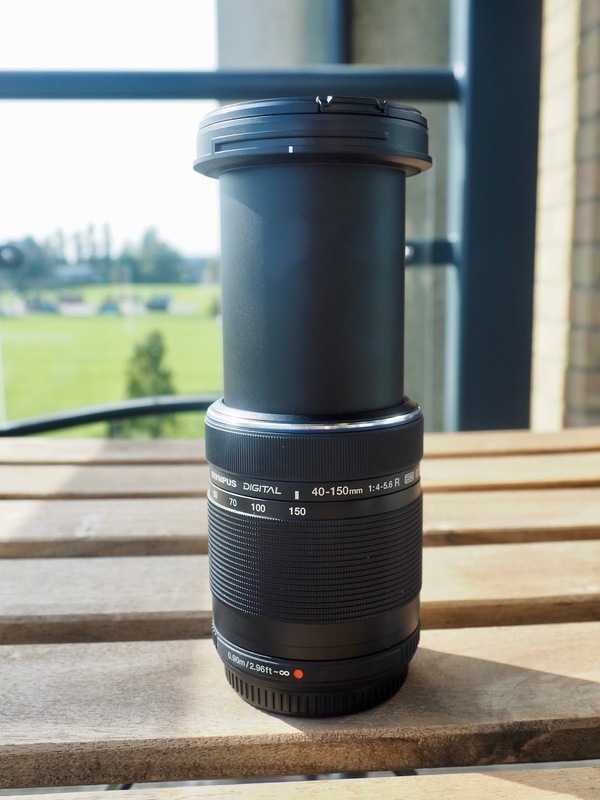 And so, after some deliberation, I went with the 40-150mm lens which is supposedly the equivalent of the DSLR zoom lens I use the most frequently. Extended out, the lens looks like this. And I'm not going to lie to you, it looks really ridiculous on your camera. If you're using it with a Pen, this thing is going to look gigantic on it when it's extended and you'll probably have to take a few moments to laugh at the unfortunate combo. But, that aside, it manages well. It doesn't feel heavy, it's fast, and it's one of the more stable longer lenses that I've used. This lens definitely takes some getting used to, and I found it initially harder to get to grips with this lens than I have with similar lenses for other cameras. At first, it just didn't seem to want to take the photos I wanted and I really regretted buying it. Then it started taking some somewhat accidental shots - they didn't look at all how I'd expected them to be when lining up the shot as at the last second it decided to focus on something completely random causing some interesting effects on the final result - but actually, as annoying as that could be if it was a really important shot, I LIKED the photos that it was taking. And then somewhere in the middle of about an hour of taking photos of hummingbirds, me and this lens just clicked. We suddenly understood each other, and suddenly this lens had been worth it after all. I will say that I never managed to get a decent dark shot out of it though, it just was NOT having that. Even in low light conditions it had quite a bit of difficulty in focusing, and though with some effort I could get it to compromise, at that point whatever animal I was trying to photo had generally lost interest and so it just worked out better to move somewhere else with better lighting and try again. Even though I've mentioned that this lens does look very oversized on the Pen, I should make it very clear that it's actually a really manageable size. If you've been thinking about getting a zoom lens but didn't want to have to carry around something so bulky that you'll need to purchase it it's own backpack, you're going to be completely safe with this one. For perspective, this is what it looks like when it's held. See? Completely manageable! As a last resort it's the sort of size that you could keep it in your pocket without too much discomfort if you're planning on doing a lot of lens swapping. 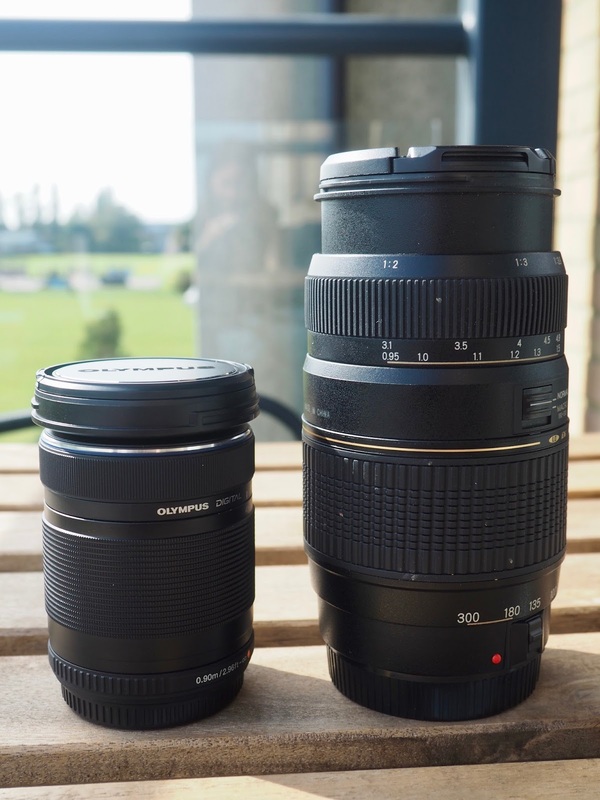 And for a comparison, here it is next to the equivalent DSLR lens that I use the most often. Quite a difference! If we're being completely realistic about things, it also doesn't take photos as nicely as the DSLR lens does, and not by an insignificant amount - but ultimately, it doesn't have to. If you don't have a DSLR, or you do but you don't want to carry it around all the time and want the option to take good photos without it having to quite literally weigh you down with all your lenses, this is a good compromise and is a good little lens in it's own right as long as you don't have unrealistic expectations about what you want from it. So let's take a couple of looks at some photos for examples, shall we? 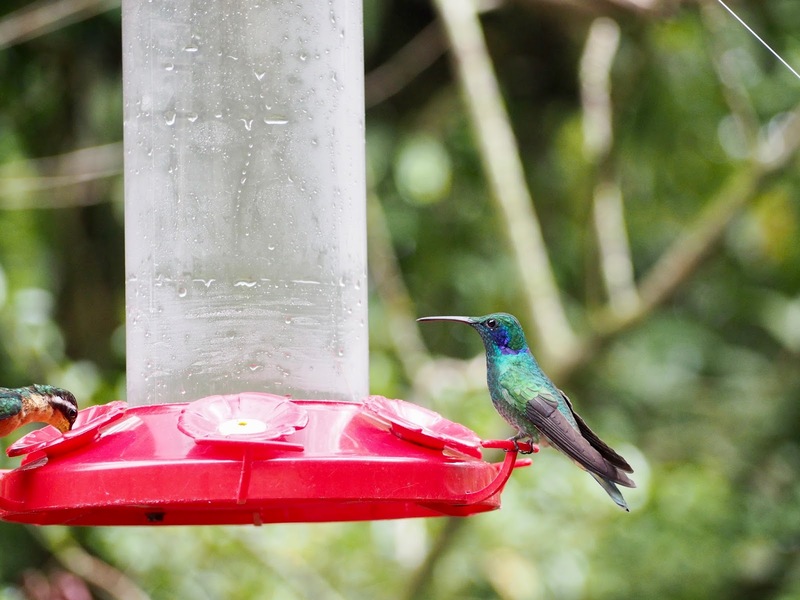 You're going to see an awful lot of bird photos on here over the next few weeks, but for an example shot, let's take a quick look at what I thought was the prettiest hummingbird I saw on my entire trip. This little guy was adorable! I'm going to use this photo as an example not because it's the best of the birdie photos, but as a quick example of movement. This little guy was darting around all over the place whilst taking photos of him, and you can see that his wings are twitching ready to move off again in this one too. I wanted to use this one as an example because I think you can see from it the speed of this camera and lens combo. I also think you get a good amount of background blur and bokeh from this, which really made the teeny birds stand out. 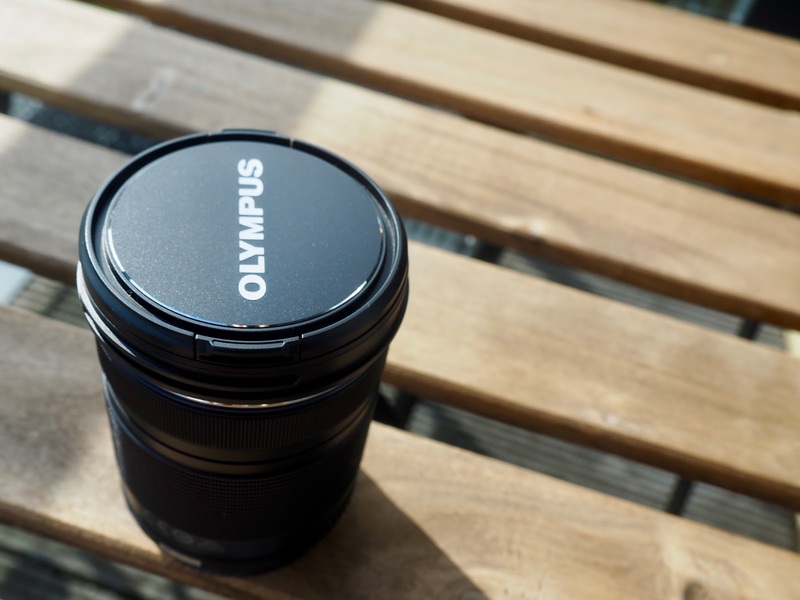 When it comes to taking photos of people, this lens did a much better job than expected. A fair few times photos came out not quite how I was intending - but I still thought they looked good. 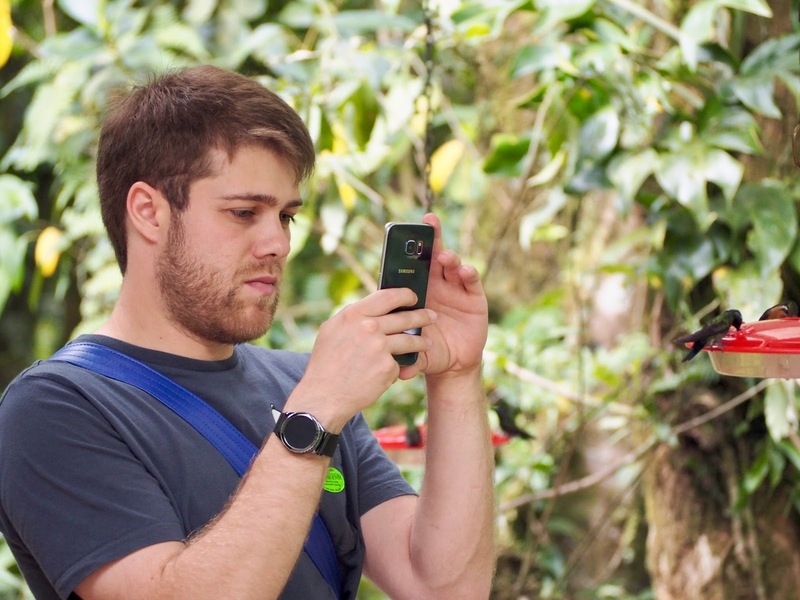 I took this one of Chris trying to take a photo of a hummingbird on his phone, and I really liked how it turned out. One of the best things about using a longer lens to capture people is that - and I know this sounds creepy - you can get the photos of them without them realising it. Candid photos always look the best in my opinion as you don't then get the awkward expressions or forced smiles of your friends and end up capturing the moment a little bit more. 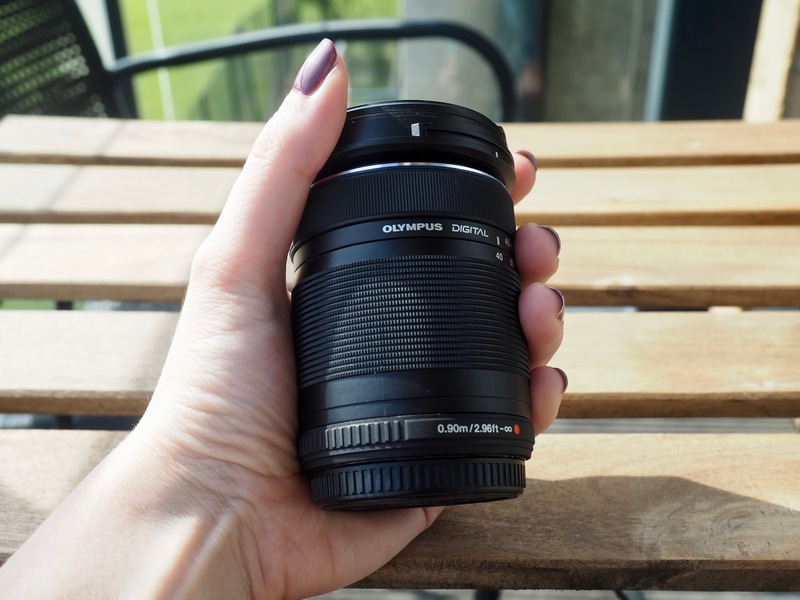 Overall, would I recommend this lens? Despite some early teething problems with it, yes, I would. 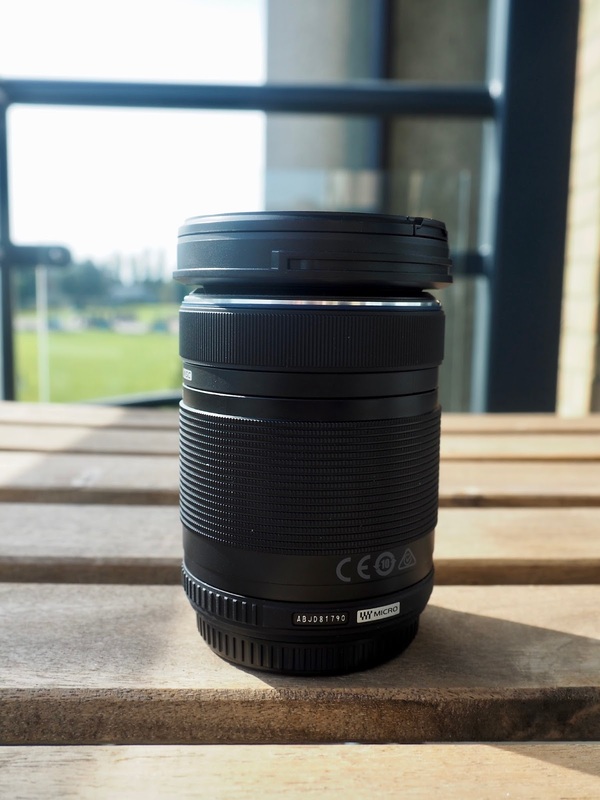 At £270, I don't feel like this lens is too badly priced at all, and if what you're really looking for is a simple lens to work well alongside the kit lens, I think this is a good choice. It takes over where the kit lens stops, and is compact enough that I don't think you'll feel burdened by it when carrying it around.